What are the steps for getting a home loan for buying a home in Arizona. You will want to have your credit report checked prior to purchasing a home to be sure there are no items that need to be disputed on your credit report. Sometimes there are items on a report that do not belong there. This could be because someone had the same name or someone used your identity on a purchase. Checking your credit and FICO score is an important first step in getting started with a loan approval. What about loan down payment help? There is currently a grant program available on a first come, first served basis for homes purchased in Maricopa County. This Grant helps with 5% towards down payment/closing costs. Email Peggy_Elias@yahoo.com for more info on this program and qualifying. Who do you call to have your credit check done? I would check for references from family and friends who have recently bought a home. Otherwise, I would check with the real estate agent you are working with to purchase your home. Most agents have worked with several loan officers and can recommend a local lender that would be available to answer your lending questions. Many times a lender will speak to a customer over the phone to get started with credit check and getting some initial information such as employment and monthly income. This information is used to get a general idea of qualifying for a loan or preapproval. This doesn’t mean you are fully approved, though. They will then have you fill out an application which could be online and follow up with additional information and documentation on your income. The lender will give you a list of what documents will you need to bring or send to the lender to become fully approved for your loan? Once they have all the paperwork you will get a final approval and letter to use for putting in offers on homes that you are interested in buying. 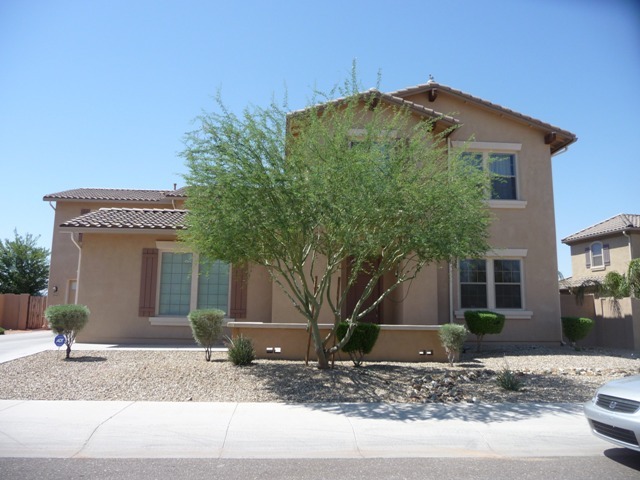 Your lender will also go over your monthly payment so that you will know exactly what your payments will be which you can compare with the cost of renting in Arizona. It’s important to know exactly what your payments will be, how much down payment you will need and what types of programs are available that help with down payment when purchasing a home in Maricopa County. Right now there is a program called Home in 5 Advantage which is a Grant program that helps with costs associated with buying a home and it’s good for homes purchased in Maricopa County. Want more information on the Home in 5 Advantage Program – Email Peggy_Elias@yahoo.com and I will send you the information. The Home in 5 Advantage is not available through all lenders. It offers a 5% Grant with special incentives for qualified US military personnel. It is for a 30 year fixed rate loan with a non-repayable 5% down payment/closing assistance grant for homes purchased in Phoenix, Glendale, Peoria and throughout Maricopa County. If you are looking to purchase immediately and would like a list of lenders.